Art with cats - Let's keep that in the sanctity of your brain, shall we? 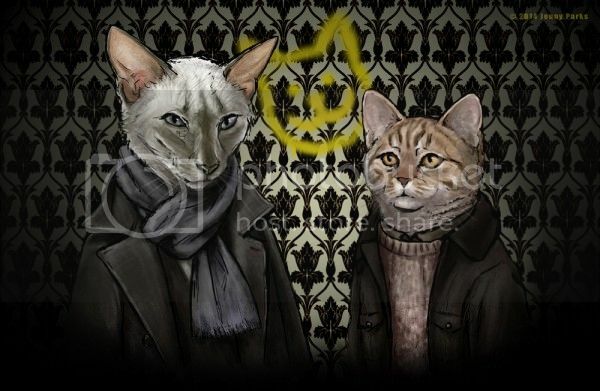 She does cats as a lot of different TV and movie characters, and you can see her gallery here. Also some of her science illustrations. So very talented - I can't draw stick people so I greatly admire anyone who can draw or paint. Very nice. I can see them as cats. She's good, isn't she? I'd like to get a couple of her prints. I took a quick look at her gallery and most of her cat choices seem spot-on for the characters she used them for. She's chosen really well; even her Doctors look the part.